What's Your Best Mortgage Rate? What’s Your Best Mortgage Rate? In the past, it was easy to give our clients the best mortgage rate available. Unfortunately, new government regulations have created a fragmentation of interest rates that make “giving you our best rate,” more complex. I wrote about these new government regulations in my blog: “The Complexification of Mortgage Rates.” Without reading the full article, it’s important to distinguish between what is “insurable” and “uninsurable.” An “insurable” mortgage is approved at 25 years amortization and at a higher rate than what a borrower would actually be paying (called the qualification rate – at time of this article, it is 4.64%). An uninsurable mortgage is any refinance, mortgage on rental properties, mortgages approved at 30 years amortization, and properties worth more than $1 million. 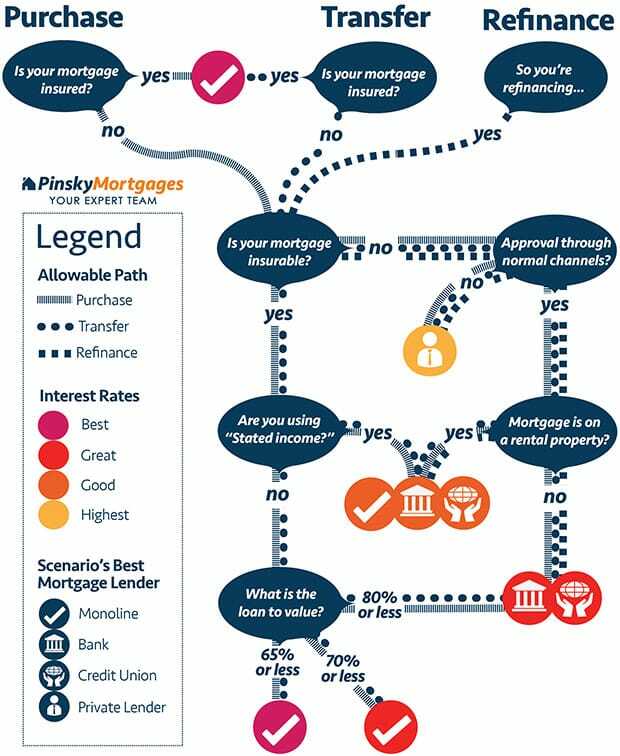 Below is an infographic that outlines which scenarios allow you to get the best interest rate available, and what type of lender can provide these rates. Please note: I am assuming average to above average credit in the scenarios below. The absolute best rates are for mortgages that are insured by one of the three Canadian mortgage insurance companies: CMHC, Genworth or Canada Guarantee. When your mortgage is insured, the insurance company steps in to pay your monthly mortgage payments to the lender if you don’t pay. 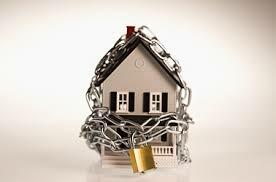 An insured mortgage is inherently a lower risk for the lender than a mortgage that is not insured. When your mortgage can be insured, Monoline lenders take it upon themselves to insure your mortgage for you, making the mortgage less risky to them so that they can provide you with the lowest rates. However, insurance costs for lenders increase with mortgage loan to value. This increase in insurance cost is transferred to you, the borrower, providing you with slightly higher interest rates. For uninsurable mortgages, our normal go-to lenders have higher interest rates because they are forced to insure their mortgages, making them pass the extra costs to you, the borrower. On the other hand, banks and credit unions are not required to insure their mortgages, making them the best fit for higher loan-to-value mortgages. Most lenders will increase your interest rate on rental properties because they see these mortgages as having a higher risk than ones on owner occupied homes. 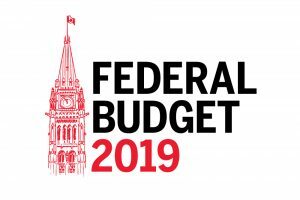 Also, lenders may also increase interest rate for self-employed individuals who need to prove a higher income than what they have stated on their tax returns. When a stated income cannot be insured, lenders increase their interest rate to offset the risk of someone who cannot prove their income. An equity mortgage is one where a client has down payment or equity but no income shown. Lenders look at these files as having the highest risk. Pinsky Mortgages is one of the top mortgages brokers in Vancouver & BC. Call us today to see how we can help you get the best interest rate on your mortgage so you can buy your dream home!